This is the second in my series of guest blogger posts, looking after things, watering the houseplants, feeding the cat, that sort of thing while I'm on my jollies!! Enjoy! Baking (and cooking) usually is a slow process for me. I don't like storming through the kitchen and getting something on the table in record time (though sometimes that cannot be helped). 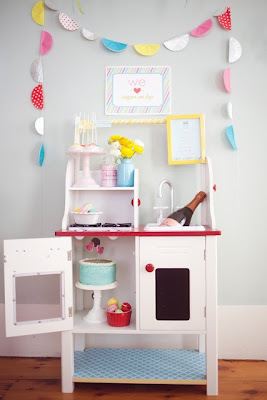 I can spend hours in the kitchen baking (and cooking) and decorating. I don't like being rushed, or rushing. For me, it all starts with pretty things, superficial but whatever. I try to buy pretty yet functional kitchenware. It sure makes my time in the kitchen more fun, and given that I spend so much time in there, it's only fair that I'm surrounded by gorgeousness! 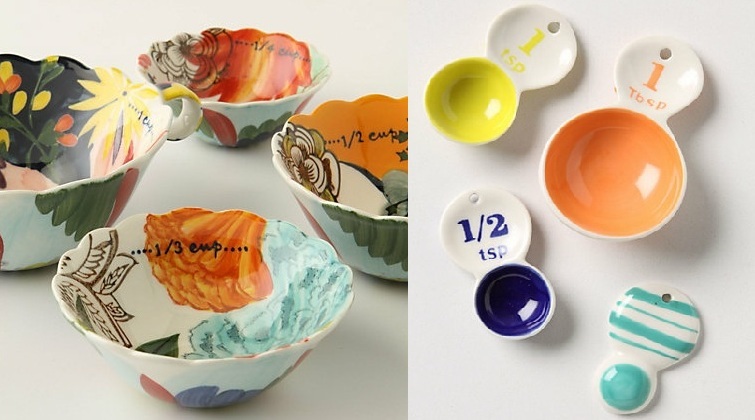 In some instances it's so important to get the measurements right, enter - gorgeous measuring bowls and spoons! I love having my collection of wooden spoons on display (and for easy access) in a nice jar by the stove. Like Jenni, I love cupcakes! In addition to a collection of wooden spoons, I also have a collection of cupcake wrappers! I store my cupcake wrappers in a jar as well, how could you not when they look this gorgeous! I'm usually in the kitchen on my own, the way I prefer it. But on occasion I ask my husband to do something and he ends up staying in there with me and it's so much more fun! We discovered the joy of baking (especially bread) and cooking (especially pierogi) together by chance but now do it often. In our home, everything tends to revolve around the kitchen. 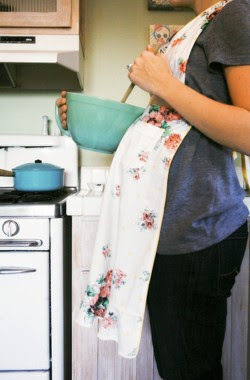 We don't have children yet but how beautiful would that be...It sure would bring another element to baking and cooking and our love for our kitchen! 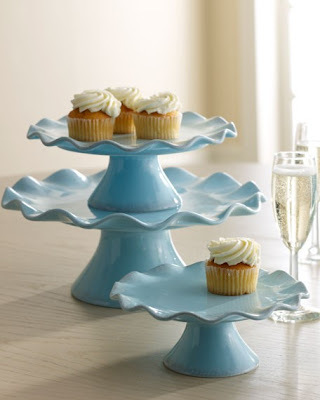 One thing that I do need to buy more of are cake stands! I've seen a number that I like but haven't got around to buying any yet! My beverage of choice whilst baking is champagne. A lovely glass of bubbly, sifting flour and the warmth of the oven heating are my favourite feel good moments in the kitchen. Often the process of baking and cooking is a lot more enjoyable for me then sitting down to eat! What are your feel good moments in the kitchen? 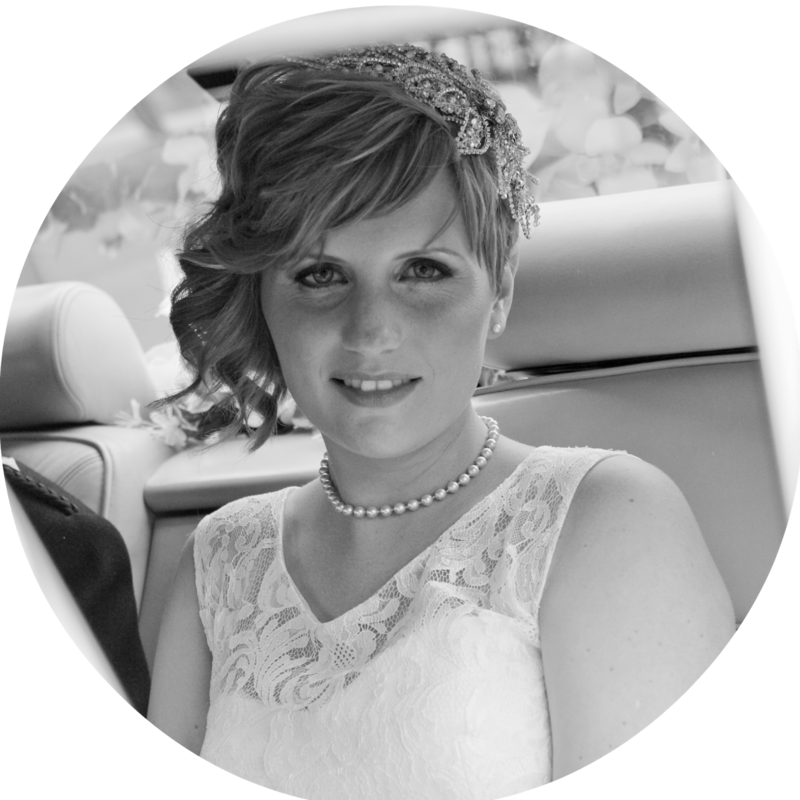 I hope you'll stop by my blog and say hi! I'd love to meet you and learn about your blogs. Thank you so much Jenni, for having me over, I hope you're having a wonderful holiday! 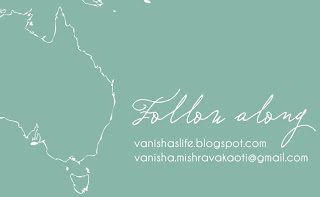 Thanks for a great post Vanisha! I love the idea of the cupcake wrappers in a jar! I have so many pretty ones, I'm certainly going to be displaying them now you've shown me this. oh my god -- the first few pictures are SO me! i definitely look for anything that's pretty yet functional -- right now i'm on the hunt for antique china bowls and plates. i really love the look of mismatched china -- it kind of gives things a "shabby chic" feel. but really though, i can't get over how cute those bowls and measuring cups are! 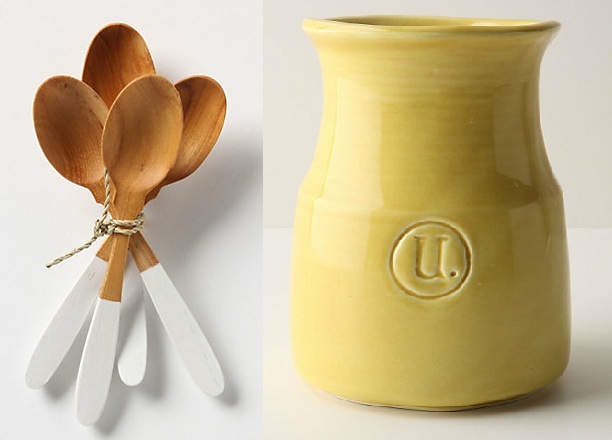 I love those Anthropologie measuring cups and spoons in the first photos! I wanted to bring them back last time, but I was nervous about packing them in my suitcase :) Our house tends to revolve around the kitchen as well, and I hope one day when I have children that I am able to give them the same gifts - food and love - that my parents gave to me. I'm glad you all enjoyed Vanisha's guest post - I'm till on the look out for a jar to put my wrapper's in!